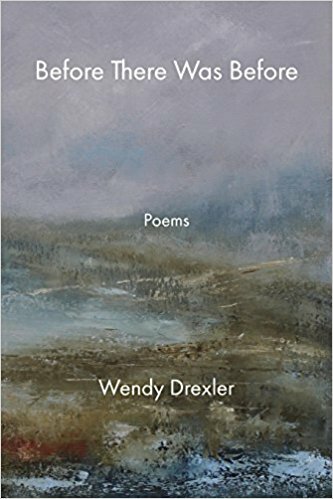 Unlike her first volume, Drive-Ins, Gas Stations, the Bright Motels, not many of these poems are straight-on autobiographical. However, the few that are pack a wallop, as my uncle used to say. “The Book of Apology” begins simply enough, almost prosaically. 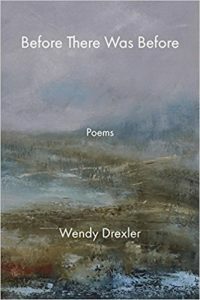 her wrists thin as a wren’s . . . .
Then, Drexler plunges deeply into self-reflection and the springs of guilt well up. And what did I do or say to her then? The ending, too intense to reproduce here, is guaranteed to provide sufficient gooseflesh for the most hardened reader. That’s it. This classic what-next? offers no clues. Drexler uses the same technique with characteristic finesse. In “The Birch,” she leaves us with her five-year old self, trying to make sense of her parents splitting up. (Back then they were called “broken homes.”) She finds a children’s book in the closet, one with a picture of a dog, “his front and back legs/outstretched, running hard.” There the poem ends. No resolution, nothing but bleak abandonment and endless running. In “The Whole Spent World Comes Rushing Back” she describes a great blue heron, “in the broth of silt and moldering leaves,” catching a frog. everything at stake in the long stretch and gape. There it ends. Did the frog escape? Drexler doesn’t say. She’s lead us into the room of this poem where we wander its intricate walls, and then shown us the door. But unlike the definitive and ironic and kicker endings we expect most poetry to have (and some of hers do), she doesn’t completely close the door. She leaves it open a crack. We can still look back in and, to paraphrase Keats “tease ourselves out of thought.” Therein lies its infuriating charm. I wish the book were illustrated, as least for the black & white photographs she writes about, like “Photo of Serbian Women, circa 1920” and “Nazi Photograph.” Unlike the famous paintings she also writes about, they seem impervious to Google. The eye needs something to lean on. The humor advances one step further. In “Squirrel Eating the Milky Way” she conflates the mundane with the vast universe and . . . ah, but this is where I get off. You’ll have to buy the book to taste these creative metaphors.